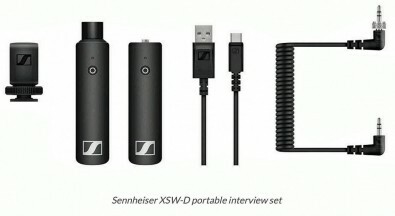 Sennheiser has introduced the XS Wireless Digital mic system, a plug and play entry-level wireless series operating in the 2.4 GHz spectrum for license-free worldwide use. 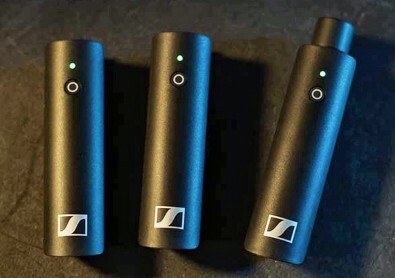 Sennheiser said the extremely lightweight and compact plug-on transmitters and receivers are available with XLR, ¼-inch TS or 3.5mm (⅛-inch) connectors. It has configurations to work with DSLRs, audio recorders and consoles and musical instruments. A single-button interface makes the XSW-D simple to use. Up to five systems can be operated simultaneously with Sennheiser's automatic frequency and interference management technology and the internal battery provides up to five hours of operating time. The system uses USB re-chargeable lithium-ion batteries providing up to five hours run time and taking up to two hours to charge. The MI series include six new sets: the XSW-D base, as well as a vocal unit containing a cardioid dynamic mic with clip, presentation base with belt clip, lavalier and instrument and pedalboard sets with belt clips and extension cables. All sets come with the transmitter, receiver and USB-A to USB-C charging cables. XSW-D kits are available now and are priced starting at $299.95.